The Start Of The Goodbyes | take your marks. go. Generally I don’t really like my birthday – I get my expectations too high and spoil everyone’s surprises by guessing what they are days before. 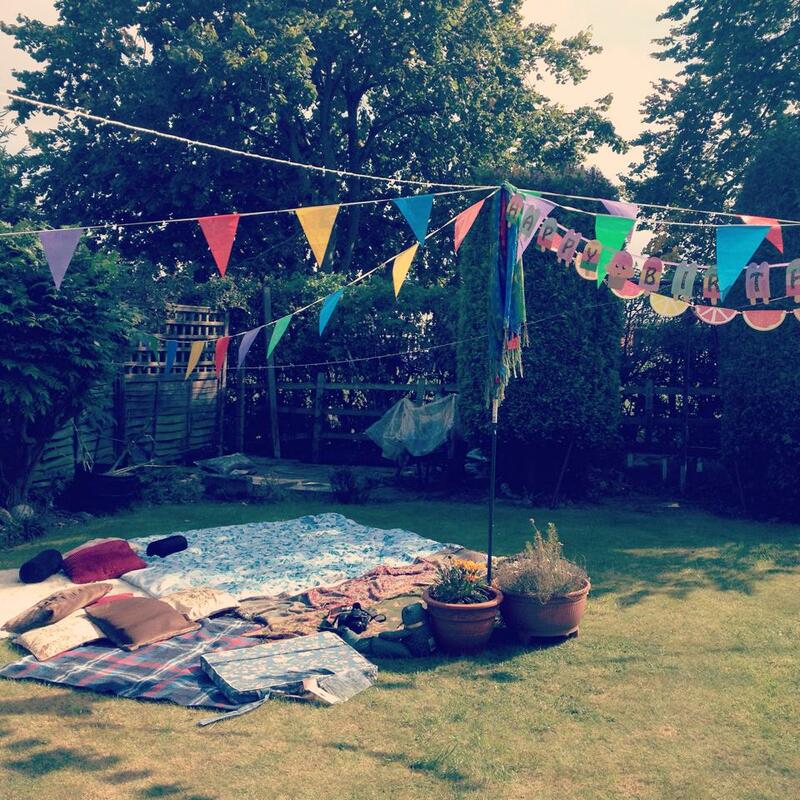 I wanted to do something with all my best friends, to celebrate my birthday, but also as a send off; a good excuse for a garden party and a chance to hang bunting. 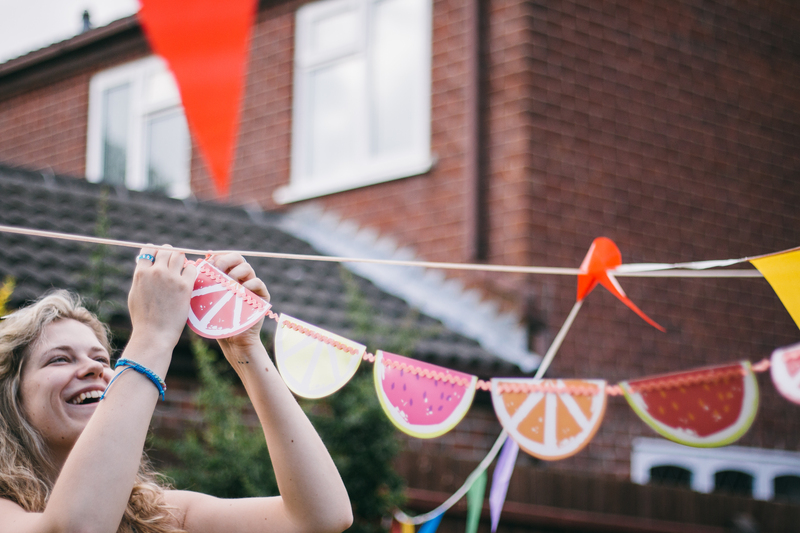 I loved this watermelon bunting – such a bargain! I love my garden. It’s not big, or showy, or landscaped, but it’s perfect for parties. The weather couldn’t have been better and all my favourite people were there. We had music, and laughter and despite the fact I was throwing friends from every part of my life together, they all fit. I’m so lucky to have found the people in my life that I have and I love that I can leave them in a room together and come back and feel left out. 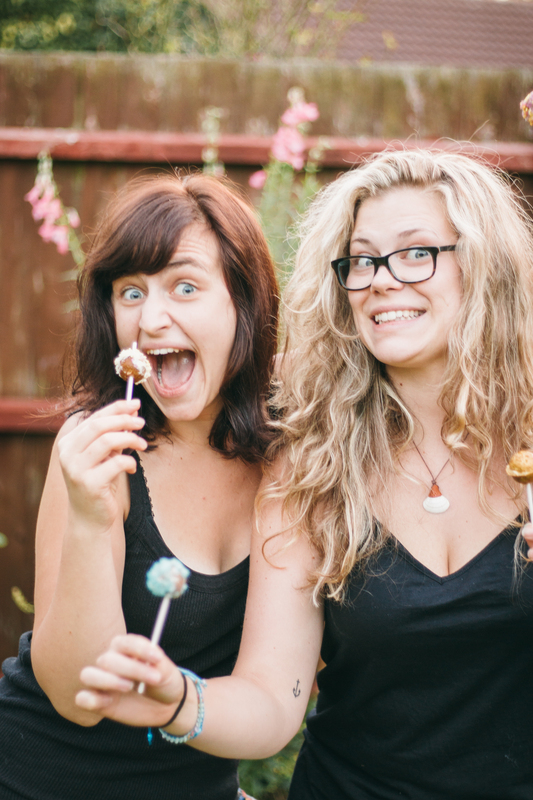 We made cake pops – and they got eaten before we had chance to decorate them. I had every intention of baking up a storm (and Lucy certainly was expecting cake – her birthday presents consisted 50% of baking equipment), but I wanted to play more than I wanted to bake. 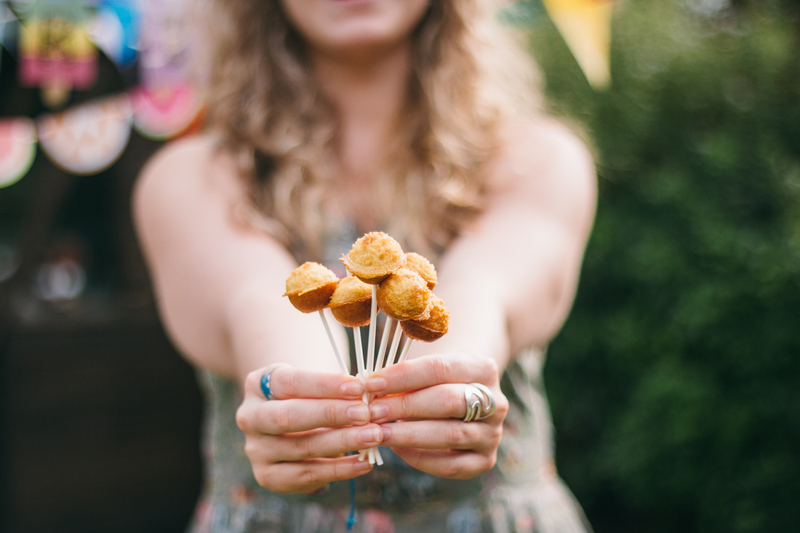 I did manage these cake pops – but they were demolished within seconds. See how much I love the watermelon! 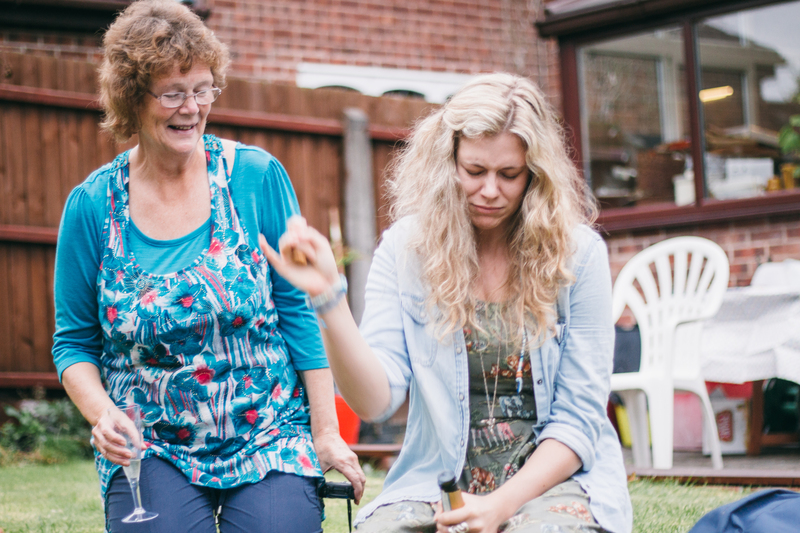 There was plenty of Prosecco and even more avoiding the fact that I was leaving. I don’t think it was mentioned all night. The weekend was perfect because it existed outside of time. 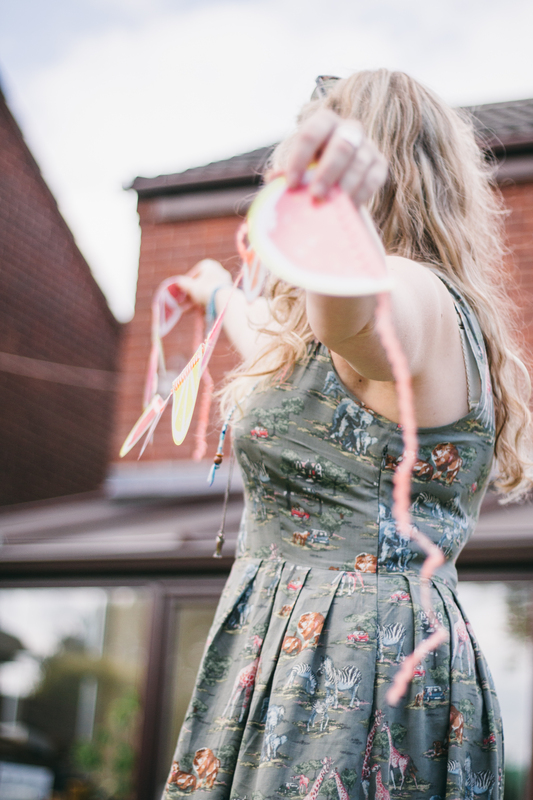 Life was completely on hold and in the tranquility of my garden and the twilight, with a head full of bubbles and a belly full of BBQ we simply ‘were’. We weren’t together long, a few hours, really, but it was nice to just all be together. And then things began to wind down and people began to go home. And suddenly there was a poignance in the goodbyes. Some tears were shed, and there were promises made to keep in touch, but there was no mistaking the feeling that this could be it. Without meaning to, life could very easily get in the way of all our best intentions and suddenly it’s been 5 years. 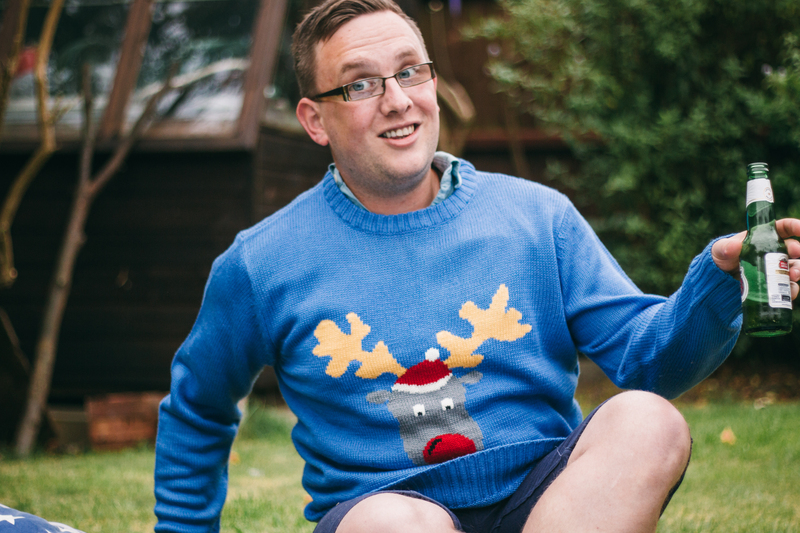 Because why wouldn’t you want the Christmas jumper? I think the most honest goodbye I had was with one of my oldest friends, Dawson. I was seeing him out the door, just like I normally would. It was a ‘See you next week for coffee’ goodbye, not a ‘Good luck on the other side of the world‘ goodbye. We’ll do it. Once I’ve been in Australia for a month. But it sort of summed up the ‘goodbye’ process for me. I don’t know how long I’m going for. I’ll be back to visit, I want to see these people again, and I’m sure that I will, but it could be a year from now, it could be 10 years. I just. Don’t. Know. And how do you properly say goodbye to that? Cake pops that did eventually make it to the decoration phase. I think that’s what made saying goodbye to this one so easy. Lucy is coming out to Australia next year anyway – plans we’d made independently of each other that align perfectly. It was a cheat goodbye, more excitement that the next time we see each other it’ll be in Melbourne. There’s more to come, and I’m not sure people are going to get the response they expect, or want from me. But I’m not one for tears. I’m terribly at sincerity – so ingrained is my Britishness that the thought of expressing my feelings makes me cringe, but that doesn’t mean they aren’t there. And I can assure each and every one of you that every time I have to say goodbye it’s getting a little bit harder to leave. ← What On Earth Do I Take?